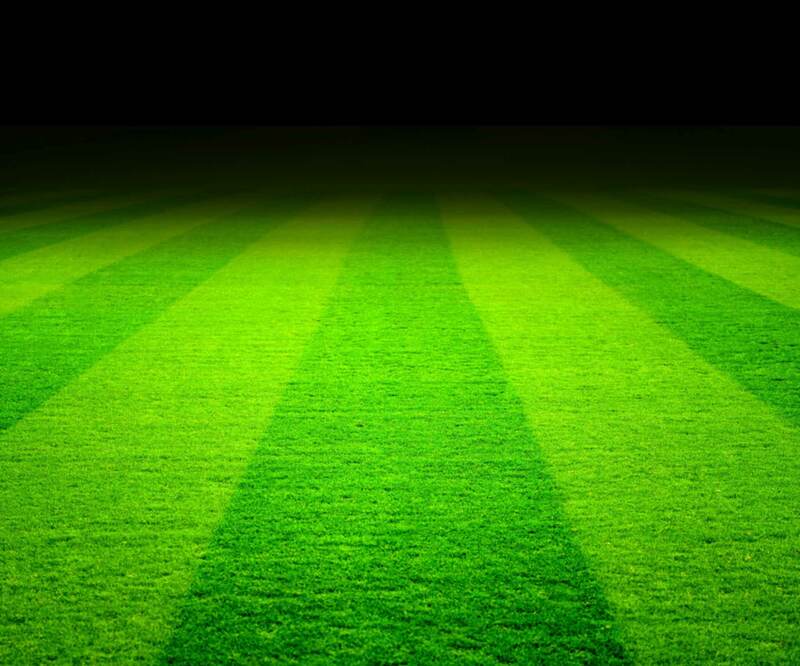 Used by Professional clubs for target training – Strong enough for adult use and also ideal for the garden. Fully portable – Free standing – Highly flexible – Use on any surface – Virtually maintenance free – Fits in an average sized family car and is light and easy to assemble. Ideal for the garden or for team training sessions. The goal post sections are manufactured in 68mm high impact UV stabilized environmentally friendly uPVC tube. The corner brackets are specially strengthened and made in re-enforced polypropylene. Unobtrusive multi-surface anchors are included. The only uPVC goal posts with firm fully locking back stanchions that do not pop out when a football hits them or when the goal posts are moved. A cost effective and quality alternative to Far East imports which more often than not end up in land fill. 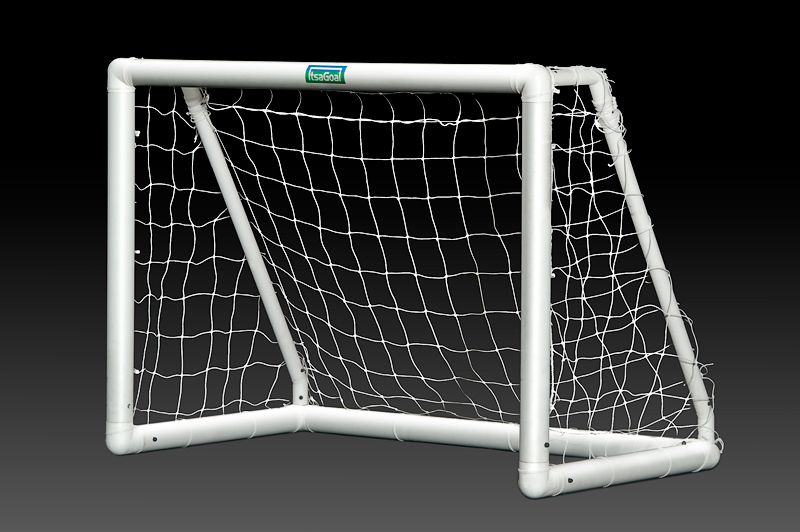 Fast fitting Arrowhead net fittings are included on crossbars and upright posts. Ground frame net fixings are included on the base frame. Goalpost Nets last longer and do not fray, like other nets that are wrapped around the posts. Length of goalpost run back 68 cm. A goalpost made in Sheffield the home of football with an infallible safety record that is weather resistant does not rust and is virtually maintenance free. 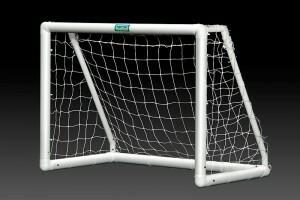 The best on line price for this Garden Goals 4×3 is currently at www.soccertackle.com.